This past winter, I was asked to shoot my first wedding. It’s not my usual specialty, or even my usual pot of tea – but the bride happened to be my cousin, Daisy, and the groom my cousin-in-law-to-be, Fritz. 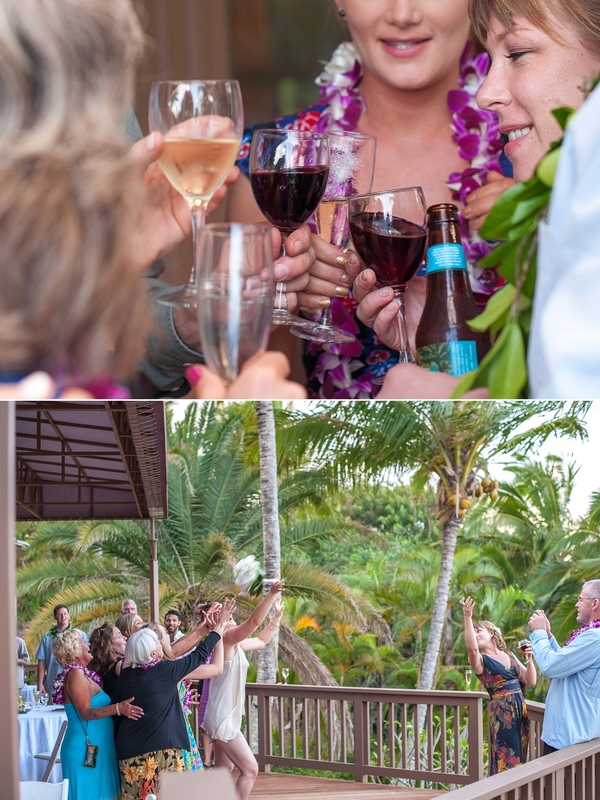 And, the wedding was in December – in Kauai. (Pauses.) Let me think about that for a second… I’d love to do it! In all seriousness, though, it soon became apparent that this wedding, while challenging – as all events are – would be extremely enjoyable to shoot: it was a small, mostly family affair, and a relatively casual, semi- to not-very- traditional ceremony and reception. Basically, I was surrounded by a swarm cousins, aunts, and uncles (and my own immediate family, of course) for a week as we Alaskans descended upon the island en masse, and I had a great excuse to have my camera out all the time. And it was just lovely, to the extreme. Going back through the pictures as I finally get them up on the blog puts me right back there on that beautiful island…and during this strange, late, and now extremely smokey Fairbanks summer, I have to admit that it’s a welcome reprieve.